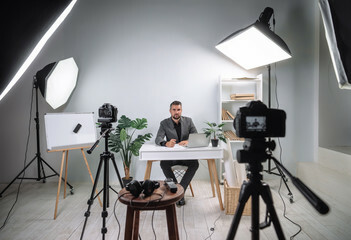 Have you tought about making money with your video content, but the security and customized applications that are needed have either been too expensive or complex? Are you interested in a subscription platform? Well you’re not the only one with that concern. In fact, that is exactly what we offer. We’re a subscription service that provides streaming video software for your specific requirements. Our thinking in developing our software was to provide a jumping off point for your online streaming goals. Our commerce and streaming interface provides you with a solid platform from which to build your project. The StreamPros solution is customizable, reliable and far less expensive, and can be done for a fraction of what you might expect. If you need an interface for your subscriptions or need one built, we can assist every step of the way. We love video content delivery, and with 23 years of experience, we have the know how and experience.